OPEC is currently pumping crude at a record rate yet has managed to fool algos and "experts" into bidding up crude to multi-month highs on "promises" it will cut a little over 1 million bpd in output starting in 2017. 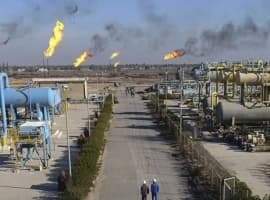 Alongside this "agreement", which Russia and other Non-OPEC nations may or may not join depending on whether OPEC states comply with the cuts (Russia has made it very clear it won't start cutting for a while in the new year), a problem OPEC has long hoped to avoid mentioning, let alone addressing, has emerged. We are talking, of course, about U.S. shale, the biggest marginal swing producer in the world. [A]t 8.8 million barrels a day, the U.S. is already pumping almost as much crude as two years ago, with just a third of the rigs it operated at the peak, data from Baker Hughes Inc. and the Energy Information Administration show. And while drillers have added about 200 rigs since May, taking advantage of rising prices as talk of an OPEC supply cut circulated, one wonders what will happens to U.S. oil production once the number of rigs returns to its recent historical levels between 1,800 and 2,000? 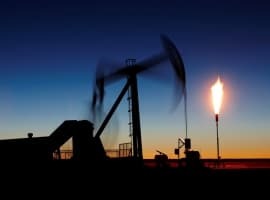 One thing we do know is that after two years of quietly avoiding the spotlight, the shale industry is ready to return with a bang, and according to Reuters, "U.S. shale drillers are set to ramp up spending on exploration and production next year as recovering oil prices prompt banks to extend credit lines for the first time in two years." North America-focused oil and gas producers are expected to increase capital investments by 30 percent in 2017, according to analysts at Raymond James. A number of shale producers including Pioneer Natural Resources, Diamondback Energy and RSP Permian have forecast bigger budgets and increased output for next year. The industry's available credit had been cut by 40 percent over the past three reviews as it contended with a two-year price rout. "The 'animal spirits,' seem to be coming back to the exploration and production market, albeit slowly," said Reorg Research analyst Kyle Owusu, referring to the human emotion that drives confidence. 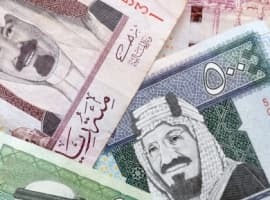 Of the 34 companies, 12 saw increases of 5 to 90 percent, while 10 companies had their borrowing bases cut in the latest round, and 12 companies' credit limits were left unchanged. Curiously, despite the recent renaissance within shale, overall U.S. crude oil production is forecast to fall to 8.8 million barrels per day in 2017 from 8.9 million bpd this year, according to the DOE. But, according to many analysts, shale output could increase from 200,000 to 500,000 bpd in 2018. Furthermore, according to a Citi report, if oil prices jump by another $10 from the current level of ~$50, shale output could quickly rise by a further 500,000 barrels. And then there are those like commodity expert Ritterbusch & Associates who believe that U.S. shale will be able to return to recent output levels far faster than consensus, and certainly OPEC believes. According to a recent report by Ritterbusch, U.S. drillers are returning to work at a pace that will threaten the tenuous agreement among OPEC and other major producers to cut output. "It appears OPEC is already furthering a U.S. shale recovery despite the fact that OPEC cuts have not even begun," Ritterbusch & Associates writes, pointing to the rapidly rising rig count and increased output from U.S. fields. As a result, and taking a contrarian stance to the consensus, Ritterbusch now expects U.S. oil production to rise to 9 million bpd as soon as the end of Q1 in 2017, from 8.8M currently. Related: Can U.S. Shale Add 1 Million Bpd In 2017? Such an accelerated return to production would not only allow U.S. producers to grab "a significant portion of OPEC's market share," but more importantly would cause the OPEC production cut agreement to break apart as early as next spring, Ritterbusch says, as Saudi Arabia once again panics and scrambles to recapture market share lost not to Iran and/or Iraq this time, but to a newly resurgent U.S. shale industry, which as a reminder, is what caused the historic OPEC cartel breakdown on Thanksgiving 2014 which sent the oil price crashing and from which it has yet to recover. As a reminder, all this excludes the all too high likelihood of a surge in production from previously mothballed regions like Nigeria and Libya, both of which are aggressively ramping up output to recapture long lost market share, and are willing to aggressively underbid the competition in the process. If Ritterbusch is right, buy lots of 6 month Brent/WTI puts, because today's high price will be a fond memory once the latest OPEC agreement collapses as it becomes every oil producer - and shale - for himself. The Saudis are not worried about Texas, they are worried about Brazil, Russia, Iran, Libya, Nigeria and maybe Canada. Notice field production dropped again in the lower 48 last weak. The rig adds have been planned since mid year by the larger players near free cash flow Break even, like Pioneer and Marathon, etc. unless oil goes to 65-75 wti, you won't see a jump in rigs next year. Non of the smaller players can afford to drill or find the credit to do more. "CURIOUSLY (emphasis added), despite the recent renaissance within shale, overall U.S. crude oil production is forecast to fall to 8.8 million barrels per day in 2017 from 8.9 million bpd this year, according to the DOE." Let me try to help with the confusion... US production is comprised of more than just shale. There is Alaska production, Gulf of Mexico production, off-shore CA production and legacy production from legacy vertical/directional wells (stripper wells). Actually, according to the EIA, shale accounts for under half of total US production. So how can shale increase production, while overall production decline? It comes down to well decline/depletion rates. The thousands of existing wells are declining faster than the added new production from fracking wells can replace. Additionally, legacy frac wells decline much faster than traditional vertical wells, and so all those wells drilled in 2014 (with the 1600 rigs) are severely depleted now, so the new shale has to make up that deficit first, before filling up the other deficit from legacy vertical wells (envision filling a sink with no stopper in it... faucet stream must be very big to do so). The measly 5% increase in credit lines will be insufficient to the task. Who are you trying to fool. Most of the shale oil is losing money at these prices and still losing money at $70 a barrel. The banks are not going to loan money out to these loss making ventures if as you say they will just flood the market again and force the price down. All the talk is to just get the mums and dads investors in so they carry the bag and lose in the lone run. “There’s a real concern by industry that we could be in for another one of these price adjustments, if we get carried away with development," Harold Hamm, chief executive officer of Oklahoma-based Continental, said in an interview in New York. “They’re going to be disciplined going forward." "The U.S. now produces 8.8 million barrels a day, about half from shale." "Pioneer Natural Resources can go from starting a well to producing oil for sale in three to four months, Chief Operating Officer Tim Dove told Bloomberg Television in a Dec. 13 interview. The Irving, Texas-based company was already planning to boost production by 15 percent and add rigs next year in West Texas’ Permian shale basin. It’s taking a wait-and-see approach on any further expansion, he said. “We’re going to stay on our trajectory regardless of what OPEC does," Dove said." So don't take it from me, listen to Conti's Hamm and PXD's Dove... US "shale" response will be measured and will take some time, meaning OPEC will be effective at reducing global supplies. Let Freedom Ring and Rig counts rise America! I love it ! Horizontal drilling and multi stage fracking changed the global oil industry. It probably pushed peak oil output back 10 to 15 years, depending on how much oil is contained in thin layers of oil bearing rock all around the world, which have now become economic to exploit at an oil price we can afford. BP, Shell, or Exxon might have some idea, but I sure don't. Time will tell. Pity the folks who are around when oil output begins to decline, because survival will get tough, unless something like affordable fusion can replace the vast amount of work now performed by diesel, gasoline, propane, and kerosene. They move nearly everything at some stage of its life. A shortage will soon put the financial system in great jeopardy as the economy is forced to contract from lack of energy to perform as much work.